As Jeremy Cowan, IoT Now’s editorial director, finds talking to Thomas Hasselman, chief marketing officer of Finland-based Quuppa, there is a thread running through all of these. It starts with Bluetooth Low Energy (BLE) technology and takes us to the door of mobile network operator, Orange. IoT Now: What does Quuppa do exactly? Thomas Hasselman: We’re technology providers for accurate real-time tracking, using technology developed at Nokia Research Centre. Research started in 2012 and was spun out into Quuppa. We sell through Value-Added Resellers (VARs), like software developers and system integrators (SIs). We now have over 100 partners in the ecosystem, including tag and BLE sensor developers. Our underlying technology is BLE (Bluetooth Low Energy). How we differentiate from the Beacons of this world is in determining the position of an asset or a tag or smartphone. We use Angle of Arrival (AoA), measuring the direction the signal comes from. That’s a key differentiator. Our secret sauce lies in the algorithms we’ve been developing for more than 60 man-years, starting in Nokia and confirmed today. IoT Now: What do you offer now in indoor location? TH: We sell hardware – we call them locators – which are sensors in the ceiling or above the tracking area. And we license our positioning engine, it’s software that resides on an on-premises server or in the cloud. We have a couple of reference tags, but we’re more focusing on the partners who can deliver for all types of different needs. If you want to be a horizontal technology provider, you have to have partners who can bring ‘best of breed’ components to the solution that SIs are building. In 2012-’14 our partners were all-encompassing solution providers. They did installations of infrastructure, software development, and their own tag development. Well, more and more we are now getting partners to join our ecosystem. So traditional SIs and mobile carriers entering the enterprise space want to work with us. TH: Orange is a good example, they became one of our latest partners. You used to have a specialised company in part of the IoT space. Now the common denominator is Quuppa and the BLE technology they’re using here. IoT Now: Can we go back a step? What does Quuppa mean? TH: (Laughter). Quuppa is a wooden scoop, used to throw water on a Finnish sauna. 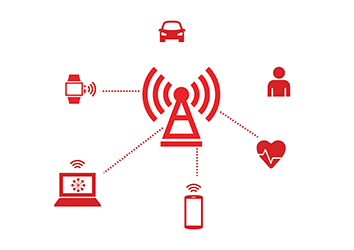 IoT Now: So why the name Quuppa? TH: Our first locator prototypes were wood, made in a hemisphere-shape as an antenna array they looked like a wooden scoop. IoT Now: How do you differentiate yourselves from rivals? TH: Our differentiation is AoA, and our own smart algorithms. It translates for our end customers into reliable, real-time location. There are other technologies that can do it, Ultra Wide Band (UWB) partly uses AoA, so we’re in the same league of accuracy as UWB, but we differentiate from UWB players in our large-scale deployments. Tomorrow, Thomas describes some BLE deployments for indoor asset location.